What's it take to be an author? How'd you get a newspaper column? What's it like to work in television news? How do you find ideas? What is a Yooper Natural? Low Carbs or Low Cal? 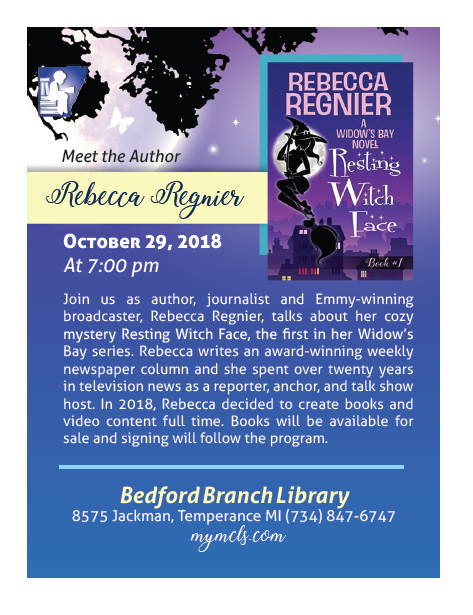 Whatever you want to talk about we can talk about when I appear at the Bedford Library on October 29th at 7:00 p.m. Copies of my books will be available. I'll sign if you'd like but mostly let's chat!